Hey, guys. 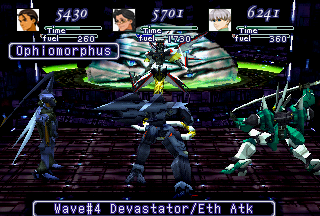 As you may already know, I'm doing a hack of Xenogears. 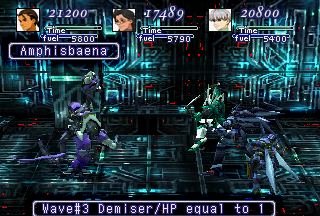 Thing is, I can't find the pointers for the enemy names or the enemy skill names at all (both are stored in the same files). I managed to find pointers for compressed archives (like the world maps and the kernel), it was easy, their tables were right at the beginning of each subfile. No calculation was needed, all I had to do was reverse the offset of each string (for example, if a string starts at 0x2AA, its pointer would be 0xAA02). 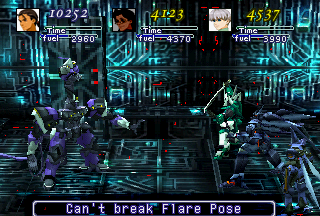 But it doesn't look like this method works for the enemies or their skills. I've tried following this tutorial too, but I still couldn't find them. Maybe I'm doing something wrong. Has anyone here ever attempted to hack this game before? Do you found all name characters and you want change name enemy and skills only now ? Welp, those are the tools I'm using. The user's guide says they're absolute pointers, but I couldn't find them using that method I said earlier. Edit: I've just learned how to do it, I was really forgetting something. Haha, silly me. The subfiles MUST be extracted, or else the pointer table can never be found. There's no need to do any math after extracting them, all that needs to be done is reverse the offsets of each string (01 04 becomes 04 01, 01 BD becomes BD 01, and so on). And yes, the pointers are absolute ones, just like the guide says. Aaaannnd, here's some new screenshots. They're from Disc 2. I just spotted this while glancing through the forum, and I like what I'm seeing as I read your blog. I have one major gripe with your latest update however. Regarding your Queen Zephyr script update... I like the idea of her speaking in a more archaic dialect, and it does fits her character thematically. The problem is... You don't have her speaking Old-English, you have her randomly adding "est" to every few words, and using 'thee' and 'thou' incorrectly. It's almost painful to read. Given she's a Queen, it would actually be most appropriate for her to be using "ye" and "you", but "thee" and "thou" are more recognizable as from the dialect you want her speaking. You REALLY need someone who's a bit more familiar with Old-English to go over your script for her. I'm far from an expert myself, but if you post her script I can at least fix the most glaring offenses. I see, thanks. I'm gonna redo those parts. Don't be afraid to point out my mistakes, it only helps me. "'thee' and 'thou' are more recognizable as from the dialect you want her speaking." The problem is that modern English combines pretty much all the different usages of the words into "you", so people aren't really used to breaking down their grammar to know how they're actually using a word, and the words actually in English still like that, we know which to use instinctively, so we never really think about it. As far as the "est" situation... Roughly 60% of the words used in Shakespearian works are gibberish, made-up words whose meanings are all only obvious through context (see: Jabberwocky). People trying to emulate old-english should NOT follow his path. There are lots of people out there who do know how to properly write old-english, and even more, to blend it into modern English to keep everything understandable. It wouldn't be too hard at all to find someone with the proper knowledge to fix her script up for you. Actually.. A tiny bit of research, and what you're looking for is Archaic/Early Modern English (circa 1500's), not Old English. direct your research on the script that way.